The Lock-It Down Diner is a product of Kranky Pantz, Inc and is a Kranky Pantz Product. 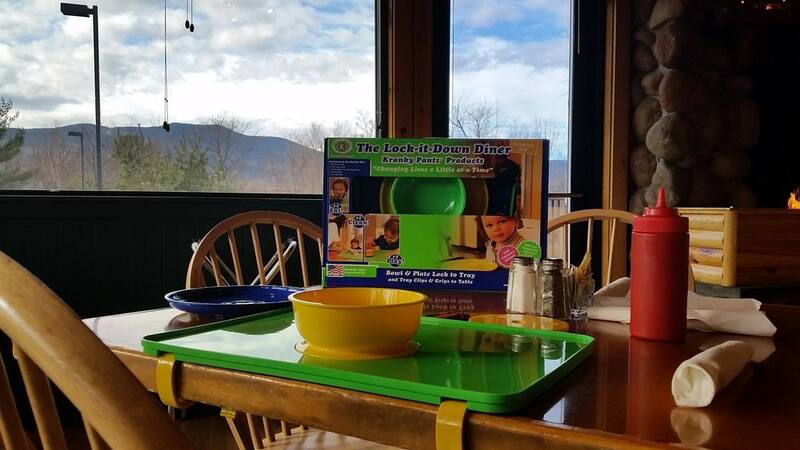 The Lock-It Down Diner is a quality, durable, versatile, fun, and functional dining tray that clips and grips to a table. The tray to table product has a locking bowl and locking plate, custom designed bowl and plate that lock into the tray. This helps to improve the dining experience created to provide a simple solution to households around the world. This is the cover page. This page provides visitors with information about how the Lock-It Down Diner can be utilized in businesses. Our tray gives your business the ability to showcase your company name here. 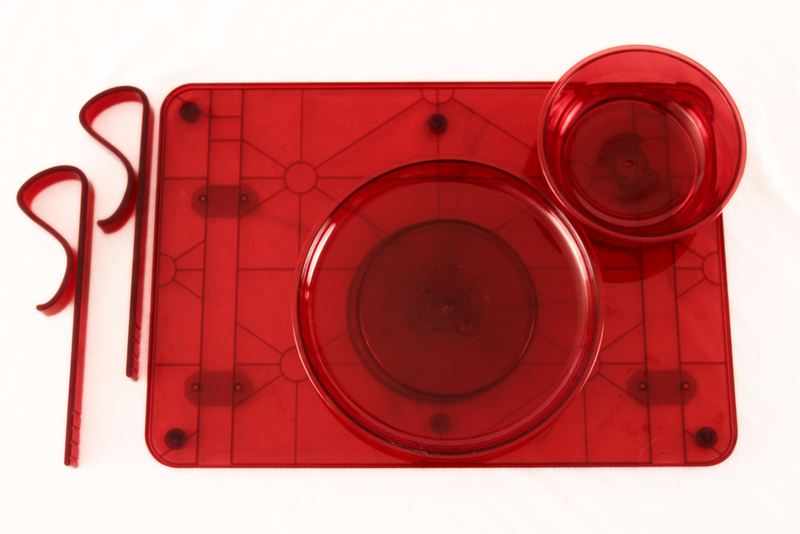 Our commercial line kit includes tray, plate, bowl, removable/adjustable clips, and a flush insert all in a translucent red color. Our tray is designed to allow for businesses to show case their own private label. Our custom designed bowl locks into the tray with one simple twist motion sure to enhance mess free dining. Private labeling on bowl also available. 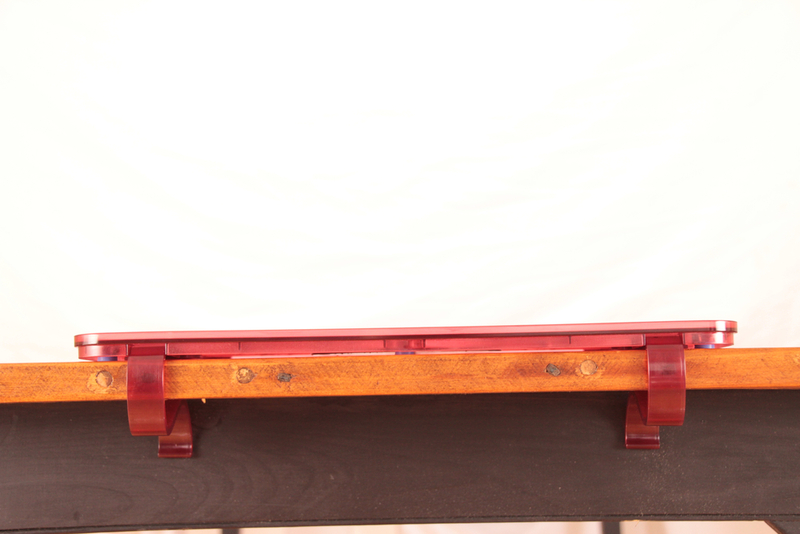 Our tray is designed to fit most ordinary tables. 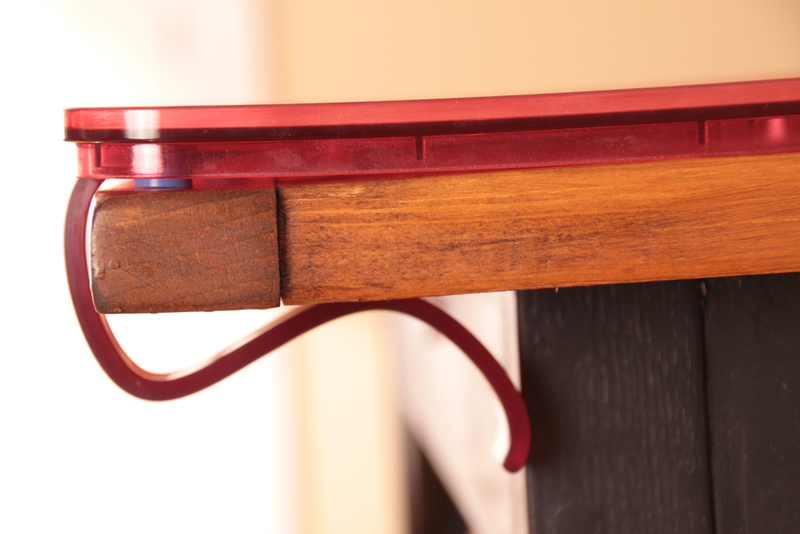 The clips are adjustable to three different lengths to allow for a custom fit. There are silicone feet installed to the bottom of the trays for better grip. Our bowl is designed to lock into the tray with one simple twist motion. The tray comes with an insert that converts the tray into a flat surface for arts, crafts, & play. 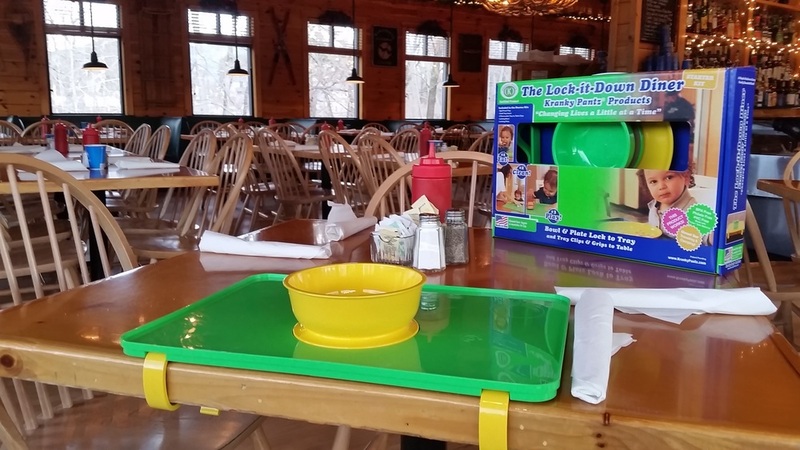 While your waiting to eat, you can entertain your child. Our tray fits all ordinary tables including picnic tables. Our plate is designed to lock into the tray and with it's 9" diameter, there is plenty of room for food. Our plates are designed to showcase your logo. We offer the Lock-It Down Diner and accompanying products for commercial businesses with the same high quality features that is available in our retail line. 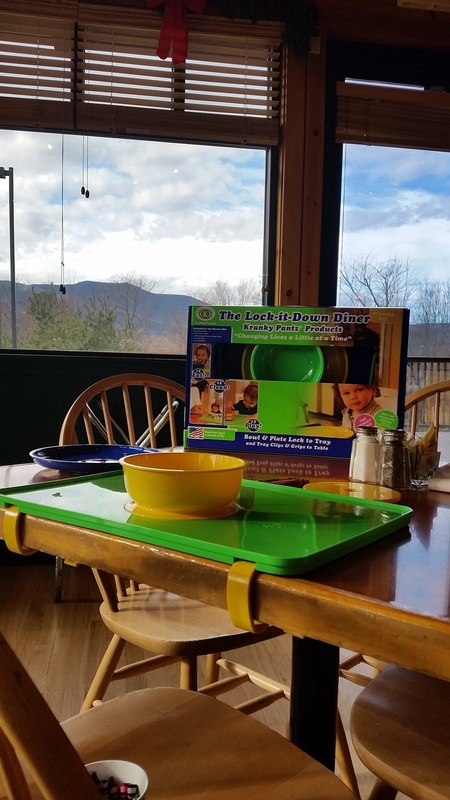 The Lock-It Down Diner is designed to help improve the lives of individuals of any age across a variety of industries. For example: Restaurants, Childcare facilities, Developmental Disability programs, and Assisted Living programs. Offering our product to your clients is sure to improve their dining experience and increase self-sufficiency. Imagine how this product could improve growth and success within your business. The opportunities are endless! 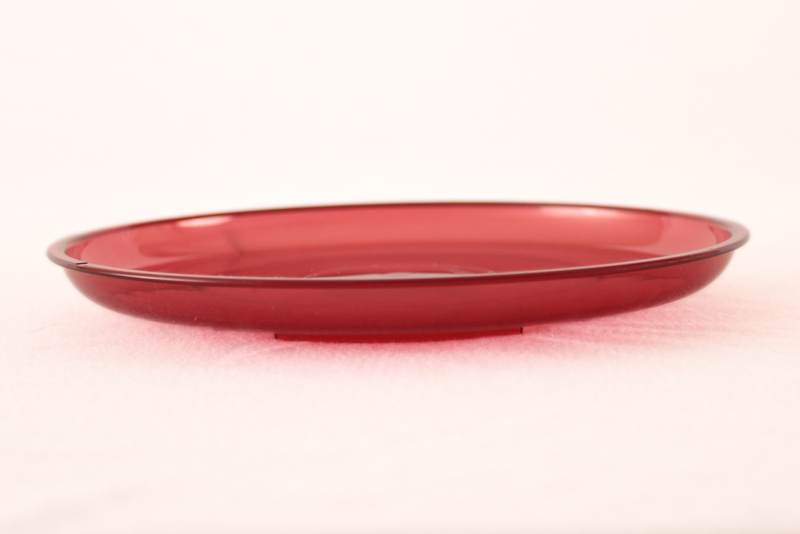 Our commercial line products are available in a fashionable translucent red color. If this color does not fit with your business, Don’t worry! 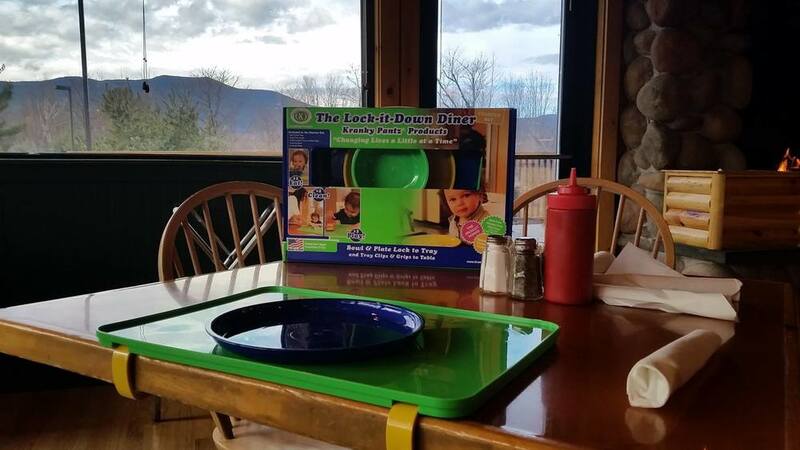 For volume purchase orders, we will not only offer discount pricing, but we will also offer the Lock-It Down Diner and its accessories in custom colors. The Lock-It Down Diner and accessories are also available for private labeling. Our products were designed so that we can place your company’s name and logo at the top center of the tray, bowls, and plates. 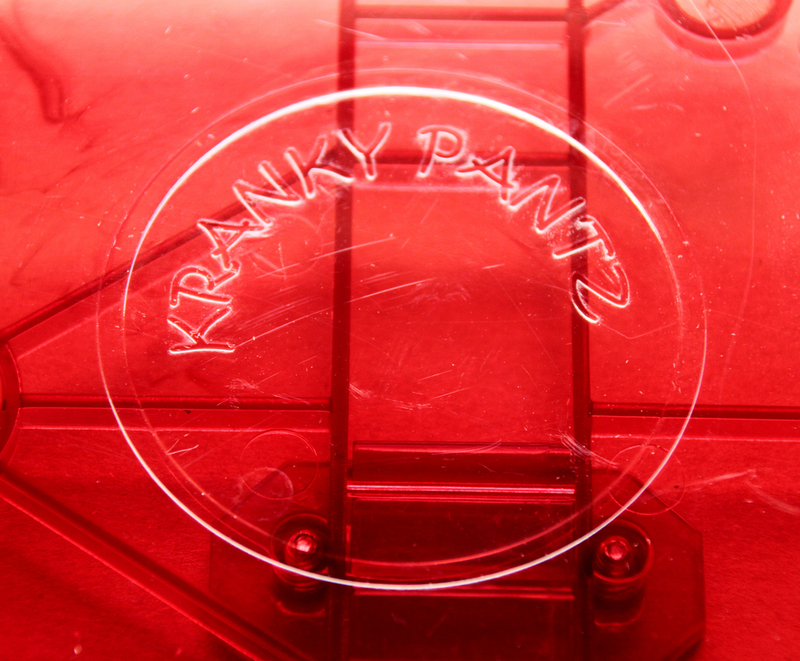 To learn more about our products and commercial line options, please contact Tom at thomas@krankypantz.com. Whenever possible, we like to make arrangements to meet with you and demonstrate how our product works to show you how effective our product can be to enhance your business. 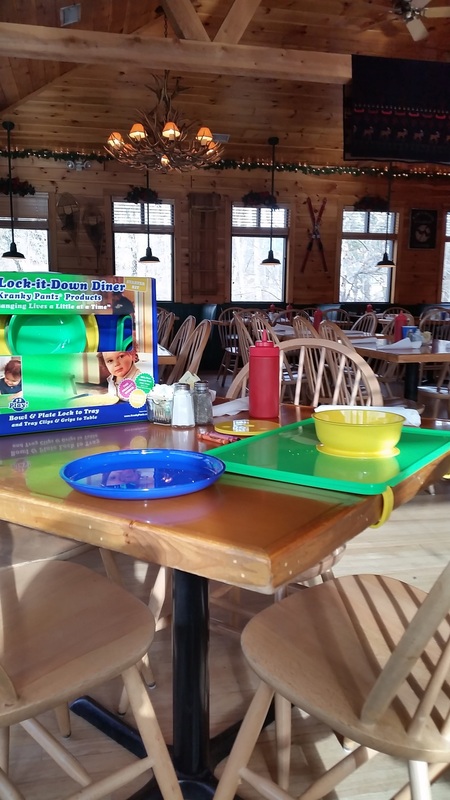 The Lock-It Down Diner is sure to greatly improve your customers’ and clients’ dining experience. "Changing Lives a Little at a Time"